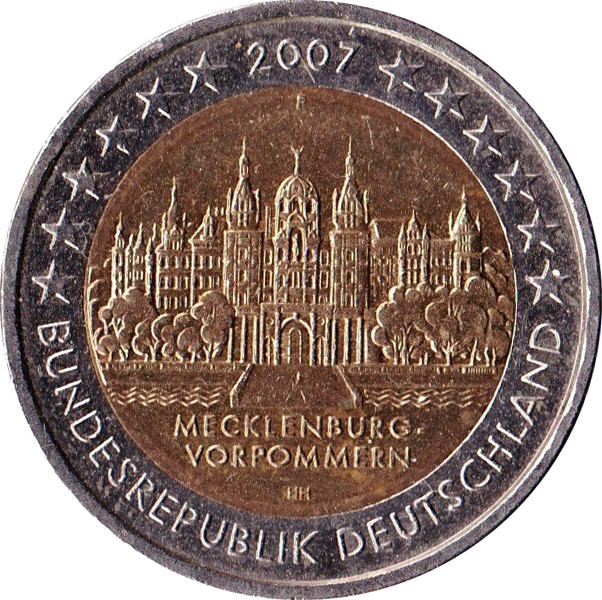 2 Euro Bundesländer - "Mecklenburg-Vorpommern"
The coin shows Schwerin Castle and bears the inscription ‘Mecklenburg-Vorpommern’ - the federal state of Mecklenburg-West Pomerania where the castle is located. 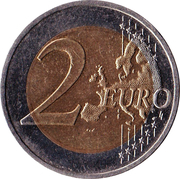 The mintmark, ‘A’, ‘D’, ‘F’, ‘G’ or ‘J’, appears above the image, and the engraver’s initials ‘HH’ below it. 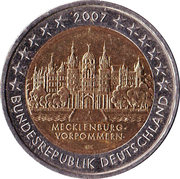 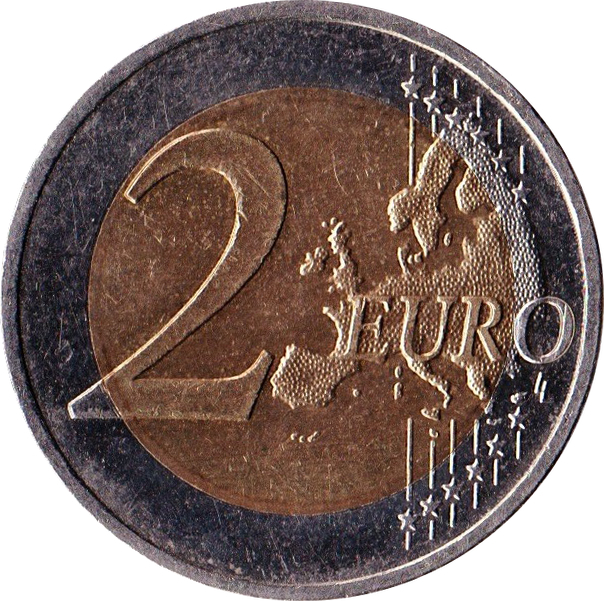 The year of mintage, 2007, the 12 stars of the European Union and the words ‘Bundesrepublik Deutschland’ appear in the outer ring.